We speak of Greek religions or “cults” in the plural, though most of them shared similarities. Ancient Greek religion encompasses the collection of beliefs, rituals, and mythology originating in ancient Greece in the form of both popular public religion and cult practices. These groups varied enough for it to be possible to speak of Greek religions or “cults” in the plural, though most of them shared similarities. 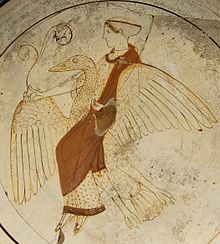 Ancient Greek theology was polytheistic, based on the assumption that there were many gods and goddesses, as well as a range of lesser supernatural beings of various types. There was a hierarchy of deities, with Zeus, the king of the gods, having a level of control over all the others, although he was not almighty. Some deities had dominion over certain aspects of nature. 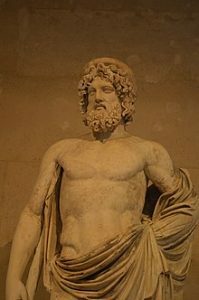 For instance, Zeus was the sky-god, sending thunder and lightning, Poseidon ruled over the sea and earthquakes, Hades projected his remarkable power throughout the realms of death and the Underworld, and Helios controlled the sun. 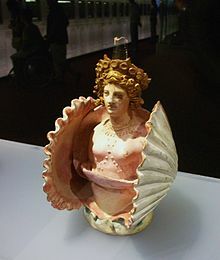 Other deities ruled over abstract concepts; for instance Aphrodite controlled love. All significant deities were visualized as “human” in form, although often able to transform themselves into animals or natural phenomena. While being immortal, the gods were certainly not all-good or even all-powerful. They had to obey fate, known to Greek mythology as the Moirai, which overrode any of their divine powers or wills. For instance, in mythology, it was Odysseus’ fate to return home to Ithaca after the Trojan War, and the gods could only lengthen his journey and make it harder for him, but they could not stop him. The gods acted like humans and had human vices. They would interact with humans, sometimes even spawning children with them. At times certain gods would be opposed to others, and they would try to outdo each other. In the Iliad, Aphrodite, Ares and Apollo support the Trojan side in the Trojan War, while Hera, Athena and Poseidon support the Greeks. The Greeks believed in an underworld where the spirits of the dead went after death. One of the most widespread areas of this underworld was ruled over by Hades, a brother of Zeus, and was known as Hades (originally called ‘the place of Hades’). Other well known realms are Tartarus, a place of torment for the damned, and Elysium, a place of pleasures for the virtuous. In the early Mycenean religion all the dead went to Hades, but the rise of mystery cults in the Archaic age led to the development of places such as Tartarus and Elysium. There was not a set Greek cosmogony, or creation myth. Different religious groups believed that the world had been created in different ways. One Greek creation myth was told in Hesiod’s Theogony. It stated that at first there was only a primordial deity called Chaos, who gave birth to various other primordial gods, such as Gaia, Tartarus and Eros, who then gave birth to more gods, the Titans, who then gave birth to the first Olympians. The mythology largely survived and was added to in order to form the later Roman mythology. 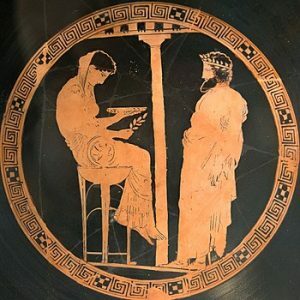 The Greeks and Romans had been literate societies, and much mythology, although initially shared orally, was written down in the forms of epic poetry (such as the Iliad, the Odyssey and the Argonautica) and plays (such as Euripides’ The Bacchae and Aristophanes’ The Frogs). The mythology became popular in Christian post-Renaissance Europe, where it was often used as a basis for the works of artists like Botticelli, Michelangelo and Rubens. .Various religious festivals were held in ancient Greece. Many were specific only to a particular deity or city-state. 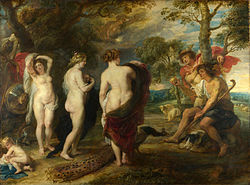 For example, the festival of Lykaia was celebrated in Arcadia in Greece, which was dedicated to the pastoral god Pan. Like the other Panhellenic Games, the ancient Olympic Games were a religious festival, held at the sanctuary of Zeus at Olympia. Other festivals centred on Greek theatre, of which the Dionysia in Athens was the most important. More typical festivals featured a procession, large sacrifices and a feast to eat the offerings, and many included entertainments and customs such as visiting friends, wearing fancy dress and unusual behaviour in the streets, sometimes risky for bystanders in various ways. Altogether the year in Athens included some 140 days that were religious festivals of some sort, though varying greatly in importance. The Greeks had no religious texts they regarded as “revealed” scriptures of sacred origin, but very old texts including Homer’s Iliad and Odyssey, and the Homeric hymns (regarded as later productions today), Hesiod’s Theogony and Works and Days, and Pindar’s Odes were regarded as having authority and perhaps being inspired; they usually begin with an invocation to the Muses for inspiration. Plato even wanted to exclude the myths from his ideal state described in the Republic because of their low moral tone. The lack of a unified priestly class meant that a unified, canonic form of the religious texts or practices never existed; just as there was no unified, common sacred text for the Greek belief system, there was no standardization of practices. Instead, religious practices were organized on local levels, with priests normally being magistrates for the city or village, or gaining authority from one of the many sanctuaries. Some priestly functions, like the care for a particular local festival, could be given by tradition to a certain family. To a large extent, in the absence of “scriptural” sacred texts, religious practices derived their authority from tradition, and “every omission or deviation arouses deep anxiety and calls forth sanctions”. Worship in Greece typically consisted of sacrificing domestic animals at the altar with hymn and prayer. The altar was outside any temple building, and might not be associated with a temple at all. The animal, which should be perfect of its kind, is decorated with garlands and the like, and led in procession to the altar, a girl with a basket on her head containing the concealed knife leading the way. After various rituals the animal is slaughtered over the altar, as it falls all the women present “must cry out in high, shrill tones”. Its blood is collected and poured over the altar. It is butchered on the spot and various internal organs, bones and other inedible parts burnt as the deity’s portion of the offering, while the meat is removed to be prepared for the participants to eat; the leading figures tasting it on the spot. The temple usually kept the skin, to sell to tanners. That the humans got more use from the sacrifice than the deity had not escaped the Greeks, and is often the subject of humour in Greek comedy. The animals used are, in order of preference, bull or ox, cow, sheep (the most common), goat, pig (with piglet the cheapest mammal), and poultry (but rarely other birds or fish). 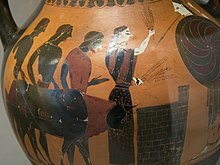 Horses and asses are seen on some vases in the Geometric style (900-750 BC), but are very rarely mentioned in literature; they were relatively late introductions to Greece, and it has been suggested that Greek preferences in this matter go very far back. The Greeks liked to believe that the animal was glad to be sacrificed, and interpreted various behaviours as showing this. Divination by examining parts of the sacrificed animal was much less important than in Roman or Etruscan religion, or Near Eastern religions, but was practiced, especially of the liver, and as part of the cult of Apollo. Generally, the Greeks put more faith in observing the behaviour of birds. For a smaller and simpler offering, a grain of incense could be thrown on the sacred fire, and outside the cities farmers made simple sacrificial gifts of plant produce as the “first fruits” were harvested. The libation, a ritual pouring of fluid, was part of everyday life, and libations with a prayer were often made at home whenever wine was drunk, with just a part of the cup’s contents, the rest being drunk. More formal ones might be made onto altars at temples, and other fluids such as olive oil and honey might be used. Although the grand form of sacrifice called the hecatomb (meaning 100 bulls) might in practice only involve a dozen or so, at large festivals the number of cattle sacrificed could run into the hundreds, and the numbers feasting on them well into the thousands. The evidence of the existence of such practices is clear in some ancient Greek literature, especially in Homer’s epics. 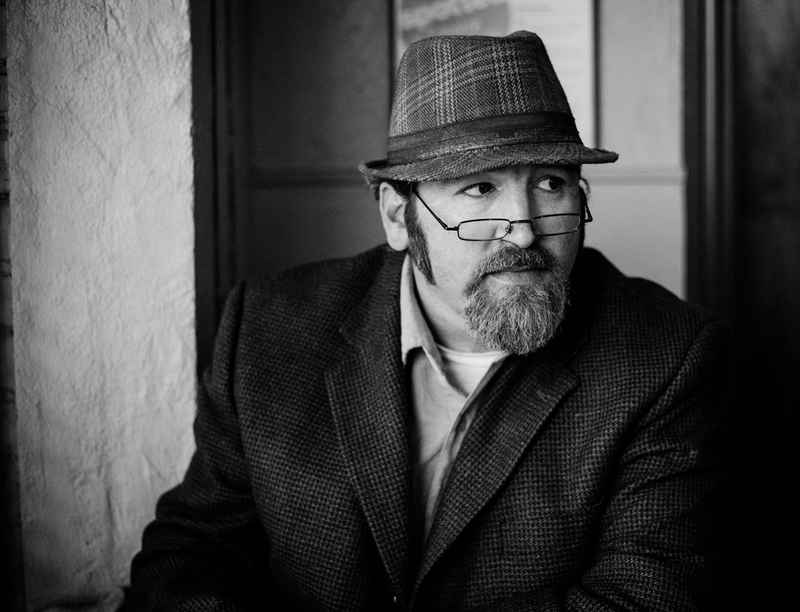 Throughout the poems, the use of the ritual is apparent at banquets where meat is served, in times of danger or before some important endeavor to gain the favor of the gods. For example, in Homer’s Odyssey Eumaeus sacrifices a pig with prayer for his unrecognizable master Odysseus. However, in Homer’s Iliad, which partly reflects very early Greek civilization, not every banquet of the princes begins with a sacrifice. These sacrificial practices share much with recorded forms of sacrificial rituals known from later. Furthermore, throughout the poem, special banquets are held whenever gods indicated their presence by some sign or success in war. Before setting out for Troy, this type of animal sacrifice is offered. Odysseus offers Zeus a sacrificial ram in vain. The occasions of sacrifice in Homer’s epic poems may shed some light onto the view of the gods as members of society, rather than as external entities, indicating social ties. Sacrificial rituals played a major role in forming the relationship between humans and the divine. The main Greek temple building sat within a larger precinct or temenos, usually surrounded by a peribolos fence or wall; the whole is usually called a “sanctuary”. The Acropolis of Athens is the most famous example, though this was apparently walled as a citadel before a temple was ever built there. The tenemos might include many subsidiary buildings, sacred groves or springs, animals dedicated to the deity, and sometimes people who had taken sanctuary from the law, which some temples offered, for example to runaway slaves. The temple was the house of the deity it was dedicated to, who in some sense resided in the cult image in the cella or main room inside, normally facing the only door. The cult image normally took the form of a statue of the deity, typically roughly life-size, but in some cases many times life-size. In early days these were in wood, marble or terracotta, or in the specially prestigious form of a chryselephantine statue using ivory plaques for the visible parts of the body and gold for the clothes, around a wooden framework. The most famous Greek cult images were of this type, including the Statue of Zeus at Olympia, and Phidias’s Athena Parthenos in the Parthenon in Athens, both colossal statues, now completely lost. Fragments of two chryselephantine statues from Delphi have been excavated. 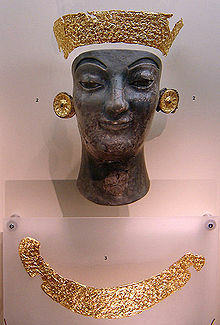 Bronze cult images were less frequent, at least until Hellenistic times. Early images seem often to have been dressed in real clothes, and at all periods images might wear real jewellery donated by devotees. The acrolith was another composite form, this time a cost-saving one with a wooden body. A xoanon was a primitive and symbolic wooden image, perhaps comparable to the Hindu lingam; many of these were retained and revered for their antiquity, even when a new statue was the main cult image. Xoana had the advantage that they were easy to carry in processions at festivals. Many of the Greek statues well known from Roman marble copies were originally temple cult images, which in some cases, such as the Apollo Barberini, can be credibly identified. 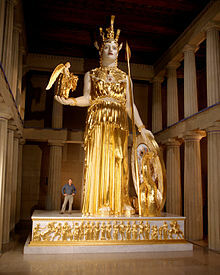 A very few actual originals survive, for example, the bronze Piraeus Athena (2.35 m (7.7 ft) high, including a helmet). The image stood on a base, from the 5th century often carved with reliefs. Greek religious concepts may also have absorbed the beliefs and practices of earlier, nearby cultures, such as Minoan religion, and other influences came from the Near East, especially via Cyprus. Herodotus, writing in the 5th century BCE, traced many Greek religious practices to Egypt. Archaic and Classical Greece saw the development of flourishing cities and of stone-built temples to the gods, which were rather consistent in design across the Greek world. Religion was closely tied to civic life, and priests were mostly drawn from the local elite. Religious works led the development of Greek sculpture, though apparently not the now-vanished Greek painting. While much religious practice was, as well as personal, aimed at developing solidarity within the polis, a number of important sanctuaries developed a “Panhellenic” status, drawing visitors from all over the Greek world. These served as an essential component in the growth and self-consciousness of Greek nationalism. The mainstream religion of the Greeks did not go unchallenged within Greece. 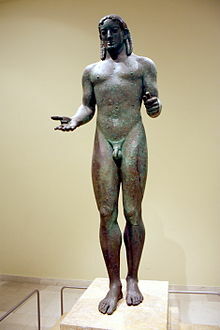 As Greek philosophy developed its ideas about ethics, the Olympians were bound to be found wanting. Several notable philosophers criticised a belief in the gods. The earliest of these was Xenophanes, who chastised the human vices of the gods as well as their anthropomorphic depiction. Plato wrote that there was one supreme god, whom he called the “Form of the Good”, and which he believed was the emanation of perfection in the universe. Plato’s disciple, Aristotle, also disagreed that polytheistic deities existed, because he could not find enough empirical evidence for it. He believed in a Prime Mover, which had set creation going, but was not connected to or interested in the universe. In the Hellenistic period between the death of Alexander the Great in 323 BC and the Roman conquest of Greece (146 BC) Greek religion developed in various ways, including expanding over at least some of Alexander’s conquests. 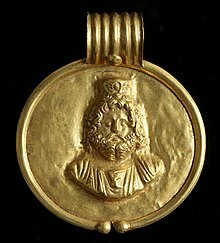 The new dynasties of diadochi, kings and tyrants often spent lavishly on temples, often following Alexander in trying to insinuate themselves into religious cult; this was much easier for the Ptolemaic dynasty of Egypt, where the traditional ancient Egyptian religion had long had deified monarchs. The enormous raised Pergamon Altar (now in Berlin) and the Altar of Hieron in Sicily are examples of unprecedentedly large constructions of the period. After the huge Roman conquests beyond Greece, new cults from Egypt and Asia became popular in Greece as well as the western empire, and a decline of Greco-Roman polytheism becomes evident from the 2nd century AD, that was as much a cause as a result of the rise of Early Christianity. The edicts of the Christian Emperor Theodosius I from 380 onwards finally outlawed most public religious practices of the old religion, such as sacrifices; the last Olympic Games were held in 393 AD. Modern Hellenism reflects Neoplatonic/Platonic speculation (which is represented in Porphyry, Libanius, Proclus, and Julian), as well as classical cult practice. However, there are many fewer followers than Greek Orthodox Christianity. According to estimates reported by the U.S. State Department, there are perhaps as many as 2,000 followers of the ancient Greek religion out of a total Greek population of 11 million; however, Hellenism’s leaders place that figure at 100,000 followers. Burkert, Walter (1985). Greek Religion. Cambridge, Massachusetts: Harvard University Press. p. 129. Otto, W.F. (1954). The Homeric Gods: The Spiritual Significance of Greek Religion. New York: Pantheon. p. 131. Chadwick, John (1976). The Mycenaean World. New York: Cambridge University Press. p. 85. Theories are discussed in chapter 1 of Greek Sanctuaries: New Approaches, Eds. Robin Hagg and Nanno Marinatos, 2002, Routledge. Greece. State.gov. Retrieved on 2013-07-28. Hellenic Religion today: Polytheism in modern Greece. YouTube (2009-09-22). Retrieved on 2013-07-28. Burkert, Walter (1985), Greek Religion: Archaic and Classical, Harvard University Press. Widely regarded as the standard modern account. Volume 1: Zeus, God of the Bright Sky, Biblo-Moser, June 1, 1964. Volume 2: Zeus, God of the Dark Sky (Thunder and Lightning), Biblo-Moser, June 1, 1964. Jennifer Larson, Ancient Greek Cults:A Guide New York: Routledge, 2007. Jon D. Mikalson, Athenian Popular Religion. Chapel Hill: University of North Carolina Press, 1983. Mark William Padilla, (editor), “Rites of Passage in Ancient Greece: Literature, Religion, Society”, Bucknell University Press, 1999. Robert Parker, Athenian Religion: A History Oxford: Clarendon Press, 1996. Stevenson, Gregory, Power and Place: Temple and Identity in the Book of Revelation, 2012, Walter de Gruyter. Xavier Riu, Dionysism and Comedy, Lanham: Rowman and Littlefield Publishers, 1999. Otto, W.F., The Homeric Gods: The Spiritual Significance of Greek Religion, New York: Pantheon, 1954.